This book brings together two of the most exciting and widely studied subjects in modern physics: namely fractals and surfaces. To the community interested in the study of surfaces and interfaces, it brings the concept of fractals. To the community interested in the exciting field of fractals and their application, it demonstrates how these concepts may be used in the study of surfaces. The authors cover, in simple terms, the various methods and theories developed over the past ten years to study surface growth. They describe how one can use fractal concepts successfully to describe and predict the morphology resulting from various growth processes. Consequently, this book will appeal to physicists working in condensed matter physics and statistical mechanics, with an interest in fractals and their application. 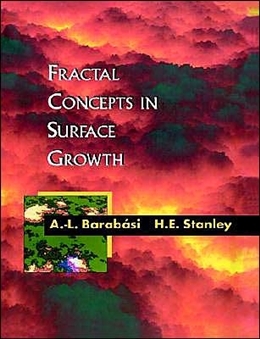 It will also be the first accessible text describing the application of fractals to growth processes, which will make it of direct interest to the large community interested in growth at various interfaces by molecular beam epitaxy and other crystal growth methods. The first chapter of this important new text is available on the Cambridge Worldwide Web server.